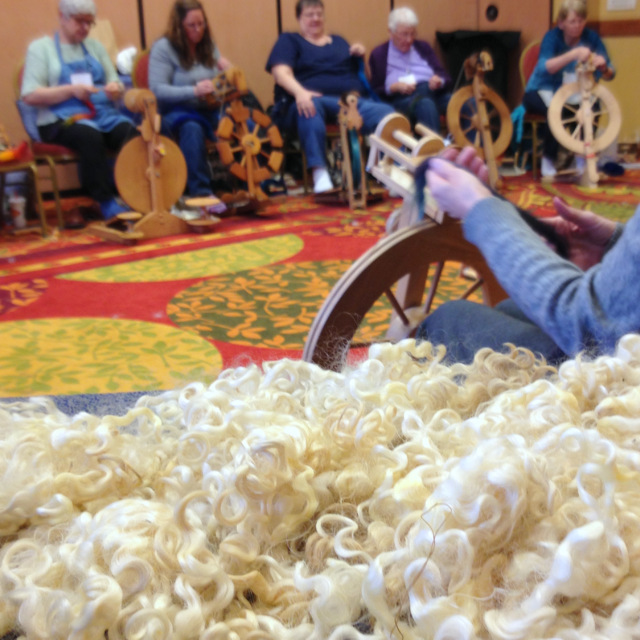 Are you interested in learning more about spinning or knitting? Kate shares her passion for a wide range of fibery topics in lectures, classes, and workshops around the country. The current workshop list includes more than twenty-five half-day, full-day, and multi-day topics. If you have questions or would like to host a workshop with Kate in your area, contact katelarsontextiles@gmail.com. Bluefaced Leicester, Border Leicester, and Leicester Longwool sheep all share a deep history, but have become very different breeds. Longwool fleeces create versatile yarns that can be used for the finest, lustrous lace or durable, hardwearing cloth. Kate will share her experiences in raising Leicesters to help you know what to look for in these special fleeces—and what to avoid. Learn how the breeds developed and diverged, and what types of fiber preparation, spinning methods, and yarn designs will make these fibers sing. Handpainted combed tops and dyed locks can be found in a plethora of colors. The way the colors mix and shade in the fiber is often what draws us in, but can look “muddy” when spun into yarn. Come learn a variety of ways to prepare, combine, draft, and ply these beautiful fibers to give you the yarn you want. We will work with several different types of wool and a few luxuries like silk and yak. You’ll leave with yarn design recipes to try with beautiful batts, combed tops, and dyed locks, and an easy way to keep track of samples. Spinning is a creative act. In our craft, we push the boundaries of our creativity within the framework of technical know-how. Whether we are spinning yarns that are traditional or innovative, turning an idea into a reality depends on our ability to match a set of learned skills with an aesthetic vision. Kate will share with you how she uses a spinner’s creativity notebook to capture fleeting color combinations and pattern ideas, while keeping no-fuss, yet accurate samples while creating a textile. 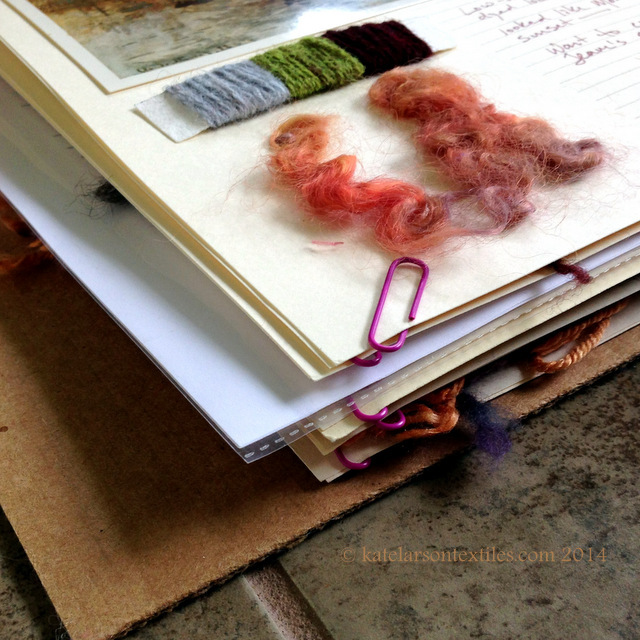 You will leave with a spinner’s notebook, several of your own color-texture studies, and a new way to capture your creativity. Soft, handmade buttons made from linen thread and bits of cloth were made in Dorset, England, as early as the beginning of the seventeenth-century. Come learn about the history of these special buttons, how they were traditionally made, and how we can adapt these buttons for very modern uses. 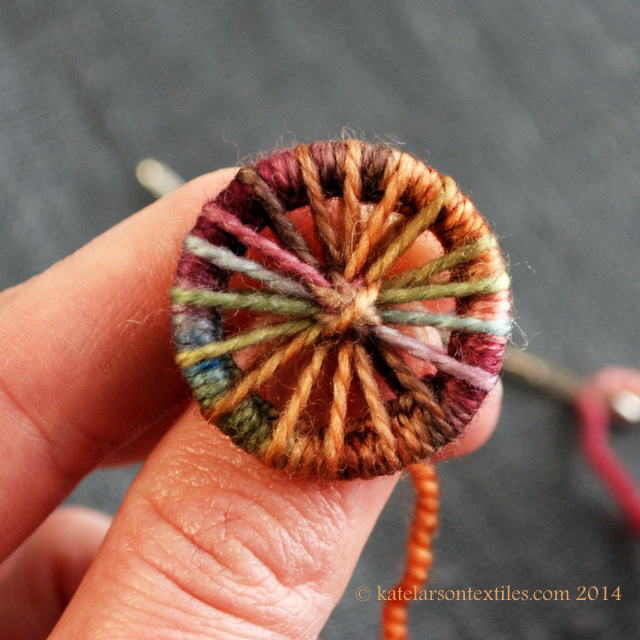 Starting with Blandford Cartwheels, you will learn to make several ring-style, thread-wound buttons. Bring a set of US#3 knitting needles if you would like to also learn a fantastic knitted button-hole technique to go with your handmade buttons. 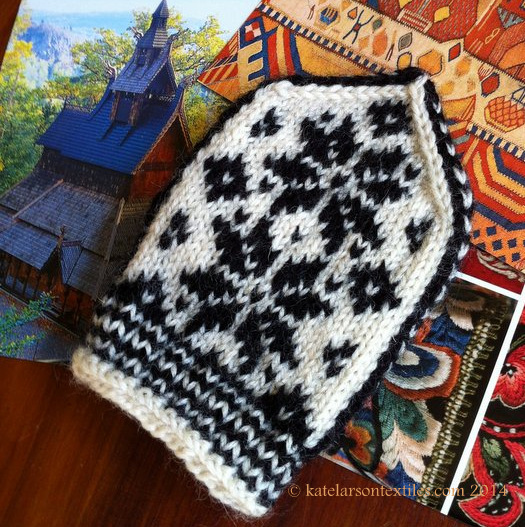 The color stranding knitting method is constantly reinterpreted by knitters around the world, from chic Bohus cardies to sturdy Norwegian pullovers, from classic Fair Isle jumpers to intricate stockings from Estonia. These surprisingly different knitting traditions provide us with many different techniques, construction methods, and fabrics. Starting with knitted colorwork swatches, we will discuss holding yarns, changing colors, reading charts, and much more.